Michael McIntyre will be performing at the Grand Opera House in York on Monday 29 January and Tuesday 30 January 2018. This will form part of his Big World Tour. Britain’s favourite comedian has gone global! The Big World Tour will take place in venues across the UK and Ireland, as well as in Australia, New Zealand, Singapore, South Africa and Norway. After that Michael will be heading to America, Canada, Switzerland, Iceland, Sweden, Malta and the Netherlands. This incredible line-up of comedy performances is sure to bring a smile to everyone in the family. 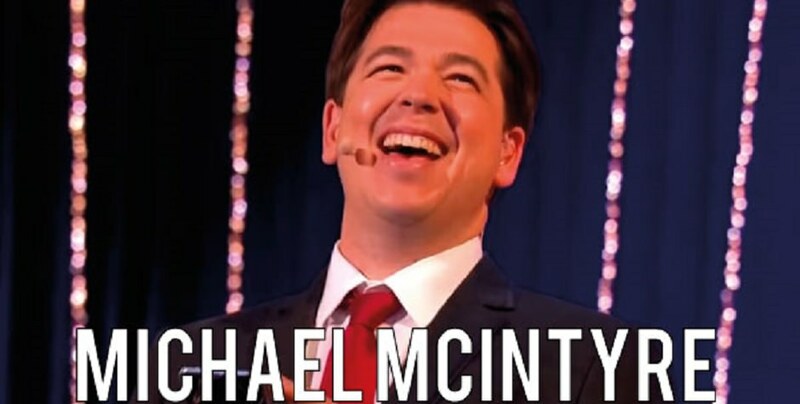 Michael McIntyre is one of Britain’s finest and most popular comedians. Apart from his sell-out stand-up tours across the globe, he is also known and respected as an outstanding actor and TV presenter. It comes as no surprise that in 2012, he was reported to be the highest-grossing comedian in the world. The Grand Opera House in York is the home of live entertainment in the region. From West End musicals to stand-up comedians, live bands to family shows, the venue offers a perfect stage for international as well as local performers. This popular venue is one of York’s historic landmarks. We all love a good laugh. Enjoy this clip below. See you at the show. This entry was posted in B+B York and tagged Big World Tour, Michael McIntyre Work In Progress on 25th January 2018.